Unlike my first post, where I decided to give a comparison on different Internet Radios, I've decided to make this post an actual rant. It will probably not be in any specific order. In fact, it will just be what I'm thinking as I think of it most likely. I have been playing Halo since the first game. Halo one is the FIRST FPS that I have ever played, and I fell in love with it instantly. I am a 22-year-old male, and as a kid, when I watched my Dad play Halo: Combat Evolved, I begged him to let me play it with him. He refused for a very long time until he got bored having no one to play against. Once he decided I could play (I was around 9 years old) I hadn't had so much fun competitively playing any video game since Battletanx Assault on the Nintendo 64 (a great game, but not fun if you've been spoiled by the games of this generation). We played day after day, honing our skills and learning strategies until it was obvious that I could beat him every game. Halo 2 and 3 were a similar story. We played constantly, and because I was younger and more video game talented, I beat him every time. Then, after years of playing, Halo Reach released. I finally bought Xbox Live, and I could play against real people in real life. It was an exciting time for me! No more playing only against my Dad. I finally had worthy competition. The Halo Reach multiplayer was almost a perfect experience. The maps (for the most part) were completely even and extremely well made, the ranking system was easily identifiable, and you'd be able to see exactly how well you did on the post-game scoreboard. What changed? Here's a big list. At the end of each game, you could see the basics: A K/D/A spread, who was killed most by you, who killed you most, what your best spree was, your weapon of destruction, your headshots, and MOST importantly, your rewards. On top of that, you had a ranking system that felt very rewarding. Almost everyone was on a silent mission to go from Recruit to Inheritor, even if it meant grinding through the four Warrant Officer ranks for weeks. There are 22 ranks each with their own levels within them. Each rank also took different amounts of time to grind through, and ranking up felt like it had a purpose. Now it's just a number, as if it were only counting how many days worth of playing you've done. It took long enough to progress, that every time you went to the next level, you felt like you had accomplished a great task. You could spend your points from playing on different things as well. You could buy exactly what armor you wanted, what helmet you wanted, you could customize your emblem, and if you got one or two million in points, you could have electricity surrounding your spartan! In the pre-game lobby, you could see everything as well. Who you were going to play against, what rank they were, if they had a mic, you could look at their stats, and you could even talk trash. The maps and game types were even a choice! You could vote for what you wanted instead of getting stuck with the same maps over and over due to the randomization being super garbage. It was a near-perfect game. Halo 4 is what started the downfall. As fun as it was, the first thing you noticed is that the UI (User Interface for anyone who doesn't know the term) was severely lacking. It was so bad, that I forgot what it looked like and had to go look it up. You had so few options to do anything. They kept the voting in, but removed the "None of these maps" choice from the options. The UI loaded very slowly, so if you wanted to look at someones stats, it was a tedious process. It was alright at best. Since this game is not the most current game, I will leave the rest out of the rant, but be sure to know, it was the beginning of the disappointment. 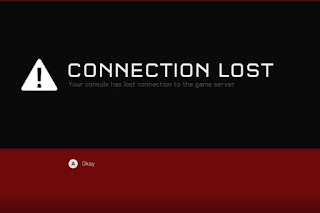 Halo Master Chief Collection doesn't deserve a mention here because it was completely broken, but just understand, I've never seen a game not work so long and often online as that game. My only consolation in my mind when I played that game was At least I won't have to play this much longer with Halo 5 coming out soon. That's not a good way to think of a game. It was so broken that they had to promise everyone who bought it at release a full game port of Halo 3: ODST for free as an apology. Halo 5, made solely by 343i, was, and still is, lacking in so many areas of greatness. The first thing you get introduced to is the REQ system. 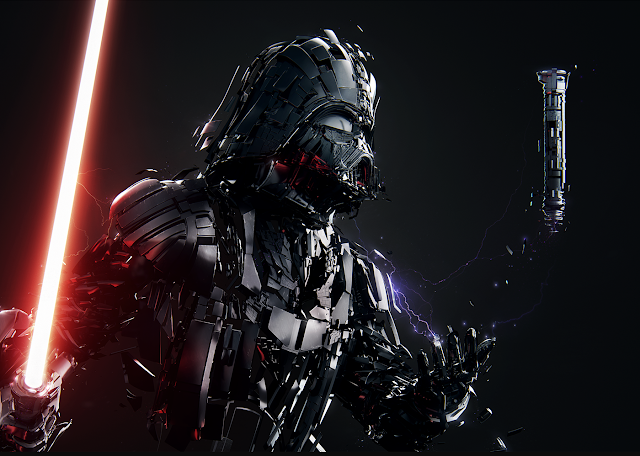 The first thought you have is probably YES, they brought back points to spend on armor! .......sadly, this is only have the case. Yes, you get points, but you don't spend them the way you think. You get to buy packs that are similar to a Magic: The Gathering booster pack. Some packs have a guaranteed Rare+ unlock and a bunch of Warzone crap to go along with it. Sounds kind of cool until you realize that you really have to go through a bunch of weapon unlocks for a game mode you most likely aren't going to play to get a small minute chance of getting an armor unlock that you actually want. Most of the helmets are really ugly as well, and there are about 200 of them. Three words for you, 343i: Quality over Quantity. Fret not! My gamer friends, for you can sell all of the crap you don't want! After playing for a couple weeks and realizing you don't want the 200+ carbines that you unlocked in the booster packs, you discover that you can sell them for more REQ points. COOL! You go to the selling screen and press X to sell. Would you like to sell a carbine? Yes or No. Well....Yes, I want to sell about 195 of them! Where is the option to sell more than one? What?? There isn't an option? Fine.... I will sell them one at a time. This will be quick still, right? RIGHT? No, it's not. It takes roughly 3 seconds of loading to sell each one, and that's being generous. I sometimes have waiting 10 seconds to sell an item. After getting over how annoying the REQ system is, you start to notice that you sometimes have no rank or REQ points in the menu screens. What is going on there? Did I get bumped down? 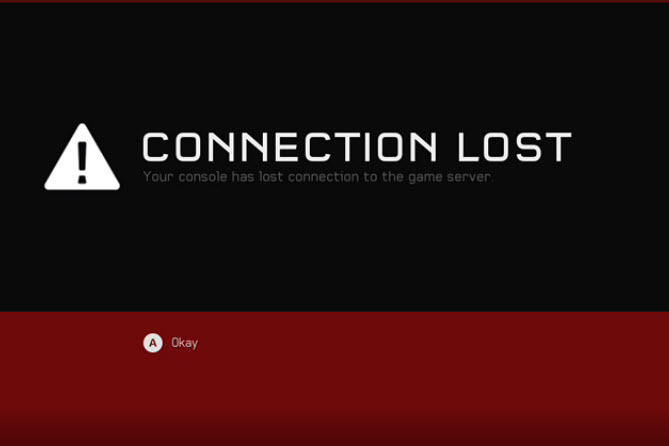 No, Halo 5 just has the worst server support in any game. The game loses and regains your information about 5 times a day sometimes. I know some people who went multiple days without being able to access their REQ items. Then there are days when you don't even get to play because the servers just keep kicking you out of the game, or the loading screen, or the pre-game lobby. Speaking of the Pre-Game Lobby, let's talk about it. Say, for instance, you load into a playlist, and you then decide you want to play another one? You press B to back out and you say yes to it's prompt of whether you wanted to back out. But wait....you're still in the lobby? You try it again...and again....and again. You're furiously trying to back out, and you finally do. Just to accidentally re-enter it by pressing the A button thinking the confirm prompt will be back up again. So you finally got into a lobby you wanted to be in. You're ready to play a good game of Halo 5, right? Let's check the stats of the people you are going against. Wait...where are my opponents? I just see emblems. I can't look at the players anymore? Why not? Why can I only see their emblem? They removed everything from the pre-game lobby. You have no names, no way to see who has mics, no way to know the ranks, no choice on maps, no mute option for individual people (There is a mute all option, so it's all or none, guys. One guy ruins it for everyone), and basically the only option you have is to set a REQ boost. Why have we backtracked? What are you doing this for, 343i? Now, the Gameplay is fantastic. I love the whole boost system, the ground pound, the assassinations (Which are more brutal than ever, and can be unlocked individually. A huge plus to the game), the mechanics in general are spot on. Every so often, people glitch on the beat downs and ground pounds and take no damage, so it's not perfect by any means, but it's a great game. So let's skip ahead to the Post-Game Lobby. At this point, I'm exhausted by writing this blog, because of how many things I have to critique. The post game lobby is terrible. You get a lot of information on numbers for each player, but the fun stuff is all gone. There is no weapon of destruction. No way to see who killed you most and vice versa. The worst part? You can't see your medals. WHY?? There is even a REQ boost for most medals, and you don't even get a number of how many you earned. Why is this not able to be seen? I just can't....deal with this kind of oversight from such a long-running gaming franchise that should have all of its ducks in a row at this point. The whole UI has gone from near-perfect to the worst around in only a few years, and I blame 343i. They have received so much feedback about this as well, but they haven't changed anything. It's as if they don't listen to their fans or something. Overall, it's still the game I play the most, and that is why I am so upset and concerned about the direction that they are going here. I really hope 343i gets their crap together at some point, because I want to love it. I just can't while it's so broken.